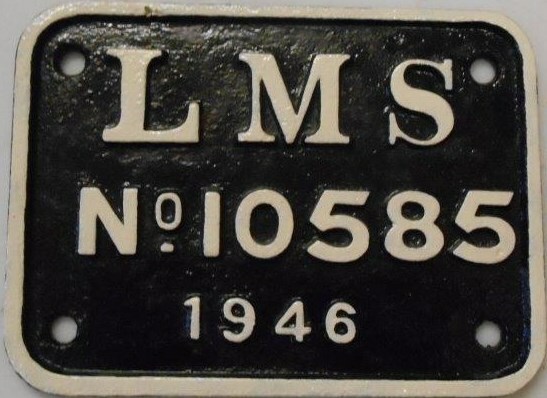 Lot 59 C/I LMS Loco Tender Plate "LMS 10585 - 1946". As carried by a Black 5 Loco No 44960. Front restored.